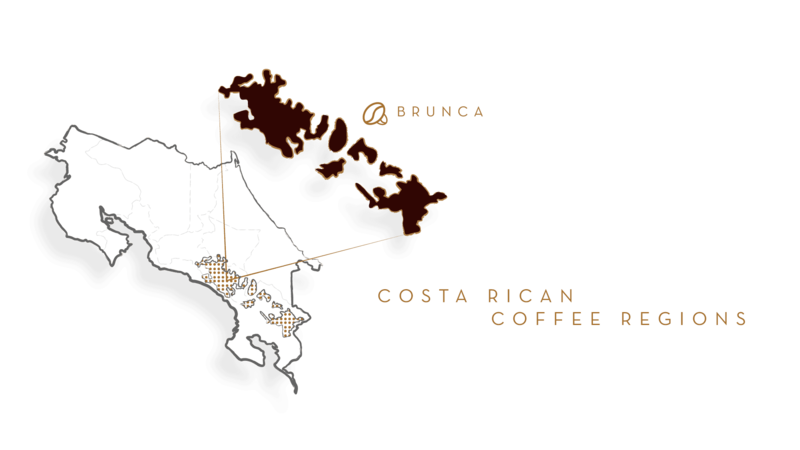 This single-origin blend comes from southern Costa Rica's Brunca growing region, known for the many biological reserves that dot its landscape. The Brunca region boasts abundant vegetation and rich, volcanic soils, which make for ideal growing conditions, and under the shade of natural tree species, coffee plants thrive. In 1991, six years after our founding, we realized the value in organic farming and spearheaded the organic coffee movement in Costa Rica by helping some of the first coffee plantations to become organically certified. Since then, we have been buying beans for this blend from only 100% USDA organic certified farms in the Brunca region. Our Organic blend is medium roast, with flavor hints of apple and laurel and an aroma of freshly tilled soil. It is a very dense, full-bodied coffee that is heavier on the palate and has a pleasant lingering aftertaste. Sustainably produced, organically farmed This single-origin blend comes from southern Costa Rica's Brunca growing region, known for the many biological reserves that dot its landscape. The Brunca region boasts abundant vegetation and rich, volcanic soils, which make for ideal growing conditions, and under the shade of natural tree species, coffee plants thrive. In 1991, six years after our founding, we realized the value in organic farming and spearheaded the organic coffee movement in Costa Rica by helping some of the first coffee plantations to become organically certified. Since then, we have been buying beans for this blend from only 100% USDA organic certified farms in the Brunca region. Our Organic blend is medium roast, with flavor hints of apple and laurel and an aroma of freshly tilled soil. It is a very dense, full-bodied coffee that is heavier on the palate and has a pleasant lingering aftertaste.